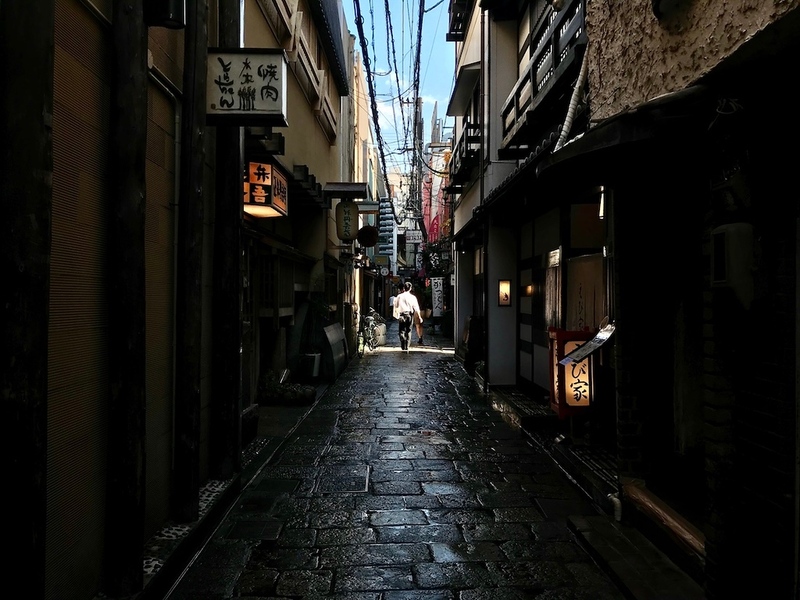 For a magical Edo-period atmosphere, you can’t beat Hozenji Yokocho, one of the most beautiful alleyways in all of Osaka. Check out this street for the gorgeous moss-covered statue before ducking into one of its tiny restaurants for dinner. 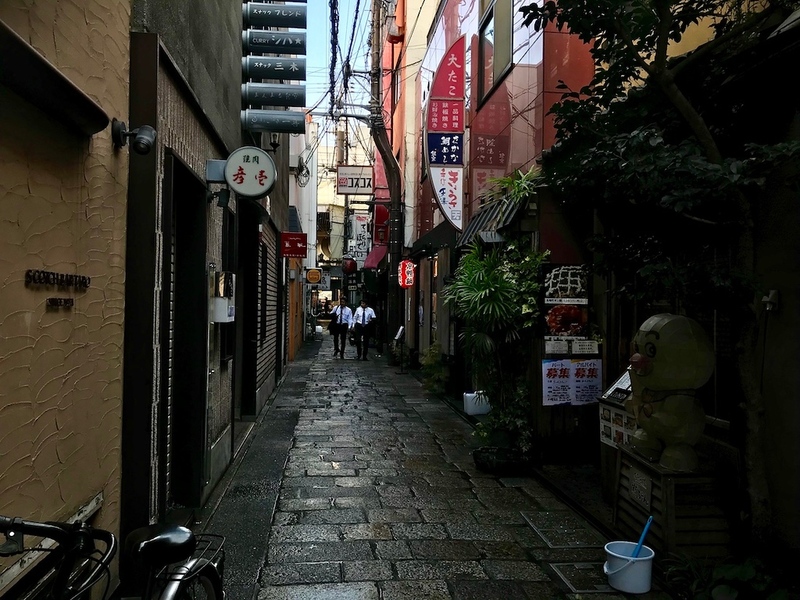 Two small blocks east of Midosuji and two small blocks south of the Dotombori Arcade, you’ll find an impossibly atmospheric alley called Hozenji Yokocho. 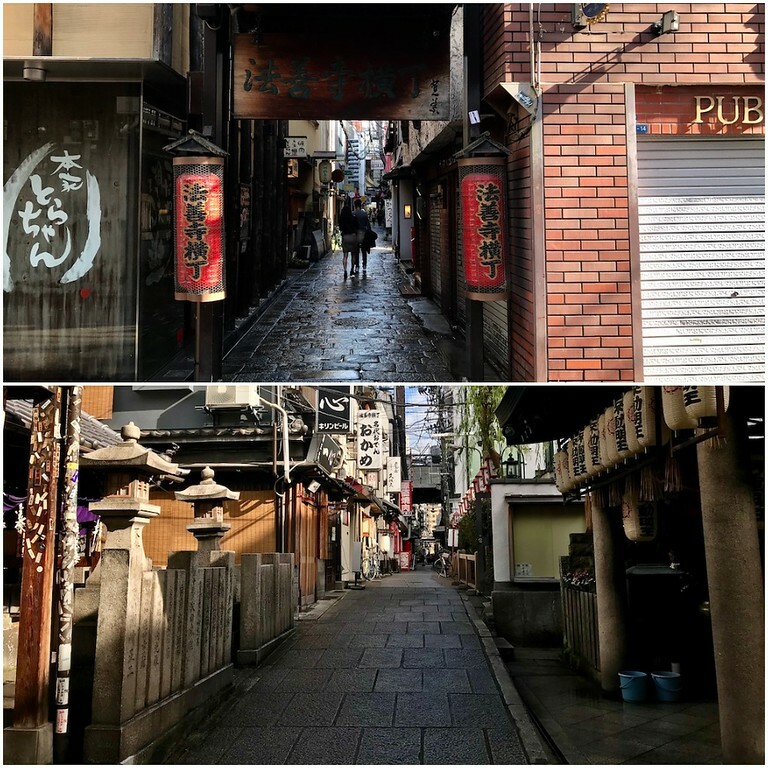 This stone-paved alley, lined with more than 60 traditional and restored shops and restaurants, is one of the most beautiful streets in all of Osaka and it looks like it was magically transported from somewhere in Kyoto. Entering this street is like slipping 200 years back in time, especially when it is lit by lanterns in the evening. 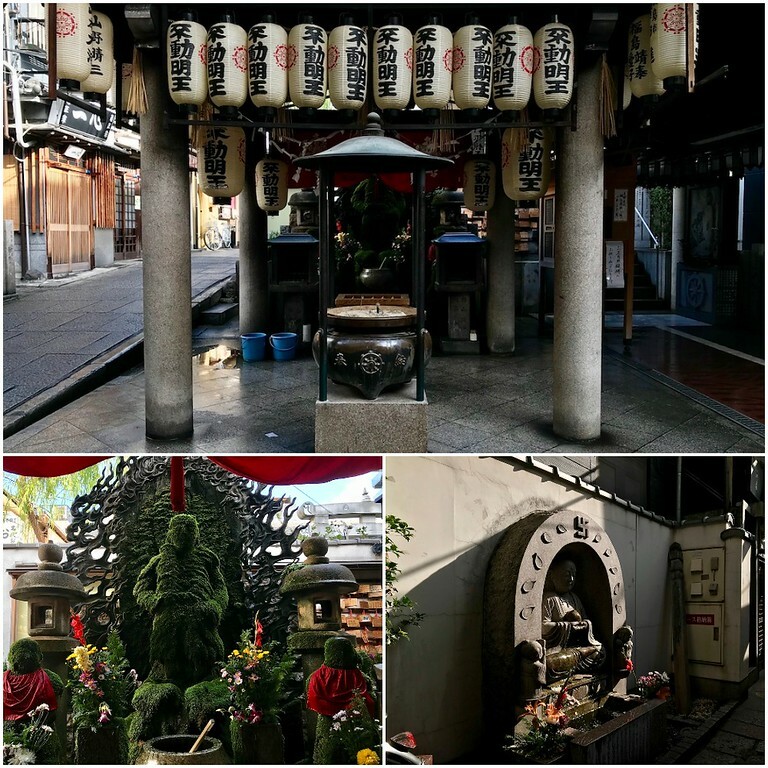 The street was named for Hozen-ji Temple, which itself is home to the fascinating Mizu-kake Fudo, an image of the Buddhist deity Fudo, the kami of fury. Covered in a lush coat of moss, this is an unusual and beautiful sight not to be missed. Many visitors these days splash water on the statue to wish for luck - it’s believed that Fudo-Myoo will grant wishes and protect one from evil - and you’ll also see local restauranteurs and workers doing the same while passing through the area. After paying your respects at the temple, we recommend heading to one of the restaurants in Hozenji Yokocho for lunch or dinner. You’ll find everything from quality beef to fabulous Osaka-style okonomiyaki. Restaurants here are popular with local celebrities - so you might find yourself rubbing shoulders with the literati or even a Kansai comedian or two over dinner. Subway and Train: 3-minute walk from exit 14 of Namba Station. 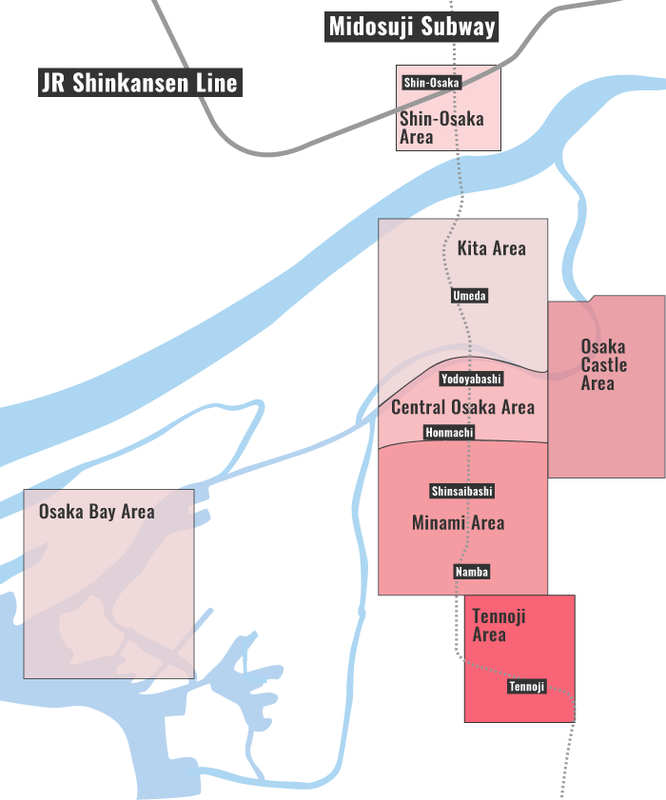 :: Check availability and pricing for hotels near Hozenji Yokocho on Booking.com or Agoda.com. Hozenji Yokocho is located in Osaka's Minami district. See our complete list of things to do in the Minami district, including places to eat, nightlife and places to stay.